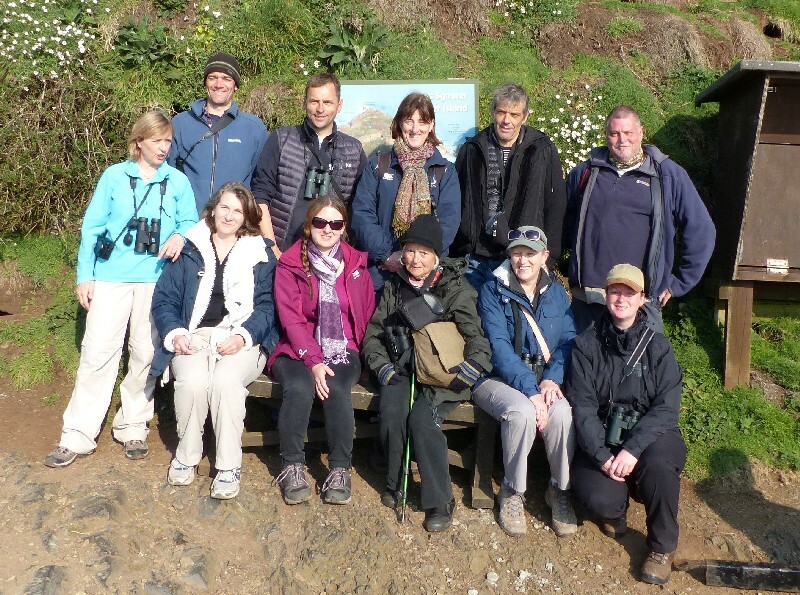 Our first spring 3-day trip to Skomer Island took place between 18th & 21st April 2015. All 10 places were booked up well before the event, and the group were wonderful, an absolute pleasure to spend 3 days with! The birding was really excellent, although it wasn’t until day 3 that the auks settled onto the island and we were treated to the amazing spectacle of thousands of Puffins in North Haven as well as close up and personal views at The Wick. We were very lucky with migrants – several Redstarts, the first 2 Swifts of the spring on the island, Grasshopper Warbler, and good numbers especially of Blackcap and Willow Warbler. The highlight for many was the Little Owl near the farm, although the breeding Short-eared Owls eluded us. Throw in Grey Seal, Harbour Porpoise and Common Dolphin, plus wildflowers, & butterflies – it was a fantastic 3 days enjoyed at a relaxed pace. The accommodation was excellent and everyone enjoyed the nightly bird log, with the group contributing a significant amount of sightings. Can’t wait now until our autumn specials on Skomer & Skokholm Islands!